Is Your Customer Retention All About Your Integrity and Building a Trusting Relationship? 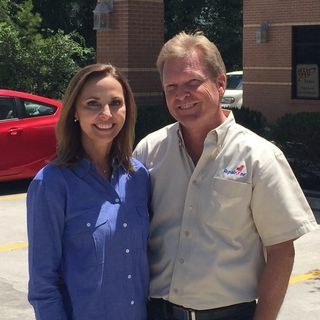 Dynamic husband and wife team, Brenda and Brent O’Neal, lead their team to ensure “The customer experience is the best it can be.” All roles must do their job to perfection. The team knows that they are not fixing cars and that their customer is the most important part of the business. They believe that living in the same community as their business brings great value and recognition. Brenda and Brent, ... See More who do not have a background in the automotive field, share where they get their new ideas, how to grow your own techs, their marketing strategy, and the extreme value they’ve received from hiring a business coach.